In our household, the sinister knife is the one designed for the right-handed user. 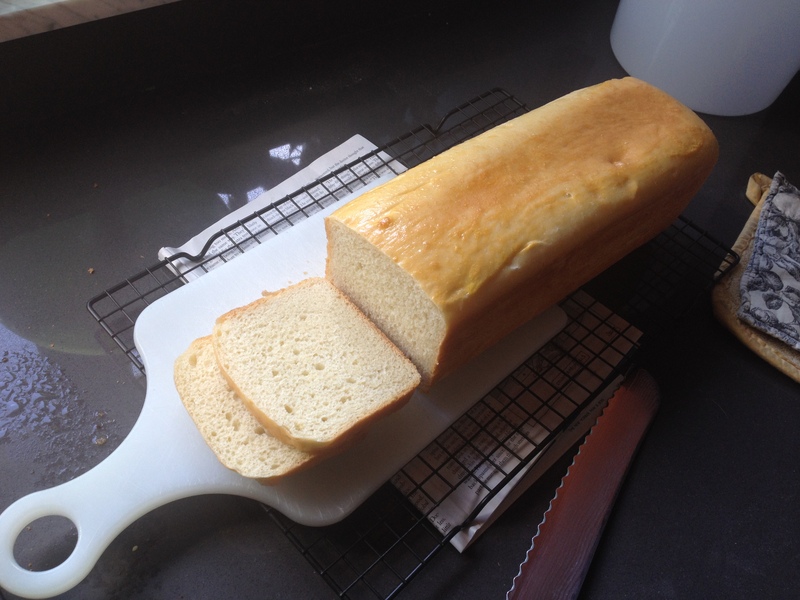 Since 1999, the Gourmensch mocked me for not being able to cut a straight line in a loaf of bread. I would pull out the long, serrated bread knife that we always used, when I was a kid, for slicing loaves of challah, and I would then very carefully slice these weirdly angled pieces of bread. And he’d go nuts. “WHY can’t you cut a STRAIGHT SLICE?” he’d ask. And he would take the knife and cut one corrective slice from the loaf, and then do the rest: nice, evenly sided slices of bread. It dawned on me after a while that the problem wasn’t me, it was the knife, that the blade was handed. Specifically, right-handed. I said as much to my husband, who mocked me. He said it was a dumb idea, and that I just didn’t know how to cut bread. “Knives aren’t handed,” he said — but he’s right handed, so of course he’s never given it a moment’s thought. It’s a “history is written by the victors” moment. Right handed people never grasp (ahem) the issues that left-handed people have to deal with literally every day — big or small. The left-handed person working in the kitchen, in particular, learns to adjust or accept a thousand small nuisances because kitchen implements aren’t always really neutral, when it comes to handedness. It’s not just knives. It’s the handles on measuring cups, the way the can opener works, even the layouts of kitchens. But this is a larger subject I’m not going to tackle now. Now, we’re talking about serrated bread knives. And then last year, at Christmas, he presented me with a special gift: a left-handed serrated bread knife. He said, “I went online and read about it and it turns out you were right, that the knives are handed. So I bought you a special bread knife.” And when I slice bread with it, I get nice even slices…. and the Gourmensch gets weirdly angled slices. I could have lived my whole life without this knife, and it really would have been okay with me — the funny slices weren’t making me miserable — but I have to say it’s really nice, now that I make perfect pains de mie, that I can make perfect, gorgeous slices. A perfect loaf of bread, sliced by me with the left-handed serrated knife. They Claim You Can Make a Pizza on the Stove in 20 Minutes.